Welcome to our Pupil Websites page, please see below for more information. For access to the Mathletics website please click here. 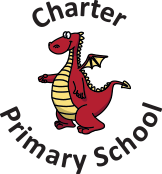 For details of Phonics Play, which is the phonics scheme used by Charter, please click here. Please find below letter and information on spelling home learning. Please click here to find the link for NRICH. Please click here to find the link for Letterjoin.